Is getting lobsters high before they die more humane? This Maine restaurant is definitely testing the waters when it comes to new cooking techniques. Her cooking method may seem silly to some, but her experiment stemmed from a very serious idea. In college, Gill read a passage by Russian philosopher and writer Fyodor Dostoyevsky, which asks readers if they'd be the architect of a beautiful utopia if it caused one creature intense pain. More than 20 years later, the question resonates. Today, Gill has created what she feels is a small utopia for local families and tourists to Southwest Harbor, Maine. 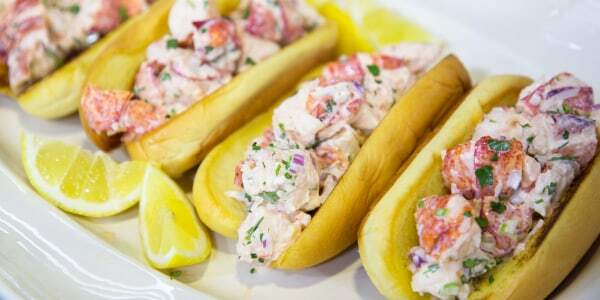 She runs a roadside stop that sells do-it-yourself lobster rolls and steamed clams. She plays 1950s music on her property, which has a goat, picnic tables to enjoy food al fresco and a field for people to play. "People can come here ... and have fun and experience joy, but it happens at the expense of the lobster, who is going through all of this suffering," Gill told TODAY Food. 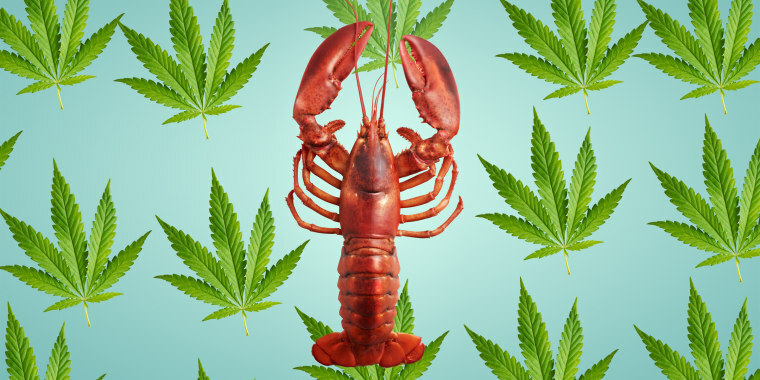 Gill was familiar with research that claims crustaceans (like lobsters) have cannabinoid receptors, just as humans do, so she thought about ways to possibly improve any pain they feel toward the end of their lives. Since recreational marijuana is legal in the state of Maine, Gill experimented with vaporizing pot smoke into a small box filled with two inches of water where one of her lobsters could relax before getting put into the pot (Gill later released this particular test subject into the ocean for being such a good sport). "If we're going to take a life it should be done really humanely," Gill told TODAY Food. "I see it in all these industries: Meat production, poultry. These animals go through tremendous suffering. If we do this ... we can make it kinder." After observing the test lobster's behavior for three weeks, Gill and her staff noticed it was less frantic, less aggressive and rarely snapped its claws when picked up out of the water. She also told TODAY Food that an unexpected outcome was that when the lobster was placed back into its tank, all the other lobsters seemed to adapt to its calmer nature. But Gill was not always pro-cannabis. In fact, until a few years ago, she was staunchly against it. After being diagnosed with depression in college, Gill was prescribed an antidepressant called Zoloft, which she took regularly until going trough a weening process a couple years ago. She finally decided to take a different approach to her illness by trying marijuana. "What had happened was so remarkable and I felt like me. I felt like I was in a stadium and all the lights were off except for a tiny one, and then suddenly they were all turned on," Gill told TODAY Food. Gill got her medical marijuana card and became a licensed medical marijuana caregiver so she could help others in similar situations to her own through homemade prescription edibles. Now, she's shifted her focus from making cannabis ice creams to cannabis crustacean. People for the Ethical Treatment of Animals (PETA), however, disagreed with Gill's belief that medicating lobsters makes eating them more humane. "It is highly unlikely that getting a lobster high would make a lick of difference when it comes to the full-blown agony of being boiled or steamed alive. There is a well-established, foolproof way to prevent crustaceans from suffering, though, and that's by not eating them," a PETA spokesperson told TODAY Food. "PETA offers recipes for vegan lobster "taste-alikes"— even one made from soy — and urges people to eat for life, the animals' and their own, given that lobster is high in cholesterol." Gill said she has "dreamed" of becoming vegetarian or vegan from time to time, and added that the Lobster Pound does have vegetarian options for diners who don't want seafood — stoned or sober. But when it comes down to it, lobster is Gill's current livelihood, and she says that medicating them with marijuana before they die is her own little way of making her corner of the world just a little bit better. Gill told TODAY Food: "I wanted to be able to run this business and be able to live with my self and know that, all in all, it's a great place to come and be happy."